The celebration of the Epiphany, known as El Día de los Tres Reyes Magos in Spanish-speaking countries, takes place on January 6. This feast day commemorates the presentation of the baby Jesus to the Three Wise Men or Magi, who traveled from afar to worship him and bring him gifts of gold, frankincense and myrrh. Gift-giving now forms a central part of the festivities on El Día de los Tres Reyes Magos. The Argentine celebration of Reyes, as most here refer to the holiday, is tied to traditions that originated in Spain. Argentine children write letters to the Three Kings—just as kids in the United States write to Santa—asking them for gifts and describing their exemplary behavior throughout the year. 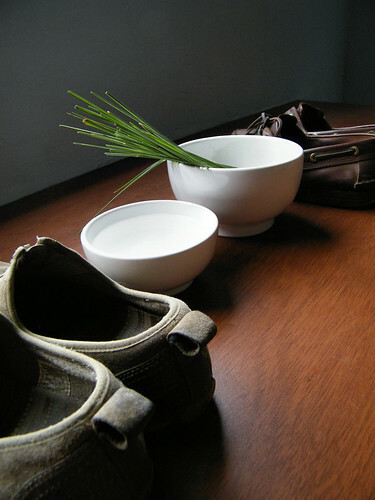 On the night of January 5, the little ones place their shoes in the window of their bedroom or by the door to the house. They also leave water and grass nearby for the Wise Men's camels. The next morning, the children awaken to find that the Reyes Magos have left them a gift on top of their shoes. While Argentine kids usually receive a gift or two from Papá Noel (Santa Claus) on Christmas, Daniel recalls that the Wise Men always brought him the best presents. Reyes also marks the end of the holiday season, and most families take down the Christmas tree and other decorations on this day. The food most traditionally associated with this special day is the rosca de reyes, which begins to crop up in neighborhood bakeries just after New Year's. 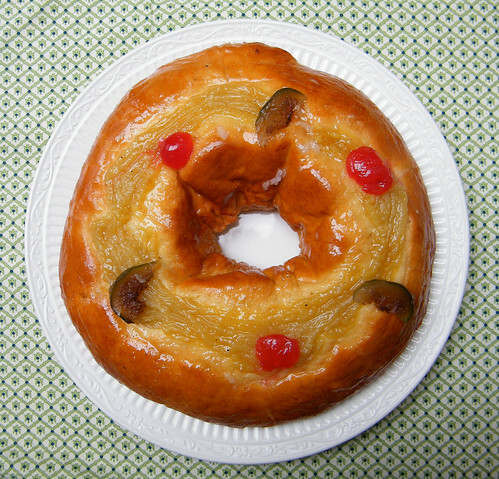 A sweetened yeast bread formed into the shape of a ring, the rosca de reyes symbolizes both the crowns of the Three Kings and God's unending love. In Spain and Mexico, bakers slip a bean or a small figure of the baby Jesus into the rosca de reyes (also called roscón de reyes in Spain); however, this custom is not observed in Argentina. The Argentine version of the rosca is usually topped with pastry cream, candied cherries (and/or other candied fruits) and pearl sugar, and it’s usually smaller than the Mexican and Spanish roscas. Check out my recipe for an Argentine-style rosca de reyes.